This is a cute an easy pattern. 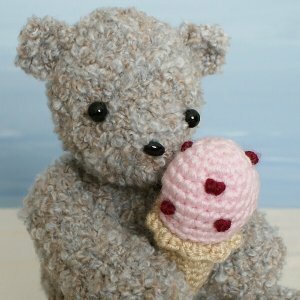 The pattern has quite a few details and walks you through every step of the process to create the bear and ice cream. There are plenty of pictures to show you just how the details are created and how they should look. As always this is a well written pattern easy to use and understand. Date Added: 08/27/2011 by Rebecca P.